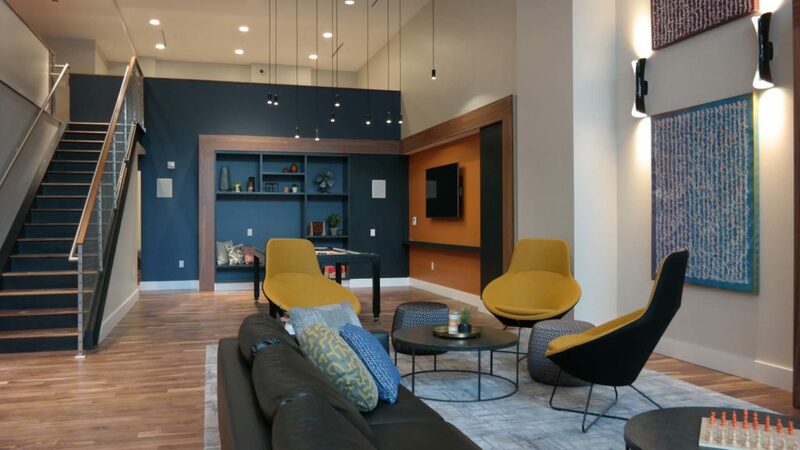 PHILADELPHIA, PA (April 2, 2019) – The Buccini/Pollin Group (BPG) and ResideBPG, the developer’s residential property management and leasing branch, are pleased to announce the completion of The National, Old City’s newest luxury apartment community located at 121 N. 2nd Street. The National will celebrate its Grand Opening with a series of events, both public and private, and special promotions during the month of April, culminating in the Grand Opening celebration and Ribbon Cutting ceremony on April 18th. All month long, future residents can take advantage of The National’s Grand Opening leasing special: sign a lease on any apartment home and receive 1.5 months free rent. With furnished model apartments available for viewing daily, future residents are invited to experience the exception lifestyle that The National has to offer. For apartment tours and leasing information, visit thenationaloldcity.com or call (833) 919-5070. In true Old City fashion, The National will kick off the month-long celebration with a First Friday Open House and Artist Reception on Friday, April 5th at 5:00 PM. The event will showcase The National’s vibrant and local art collection, featuring artwork from 8 Philadelphia-based artists curated by nAscent Art. Guests are invited to tour the community, enjoy refreshments, and view the 22-piece collection. Featured artists will also be in attendance to discuss their work. 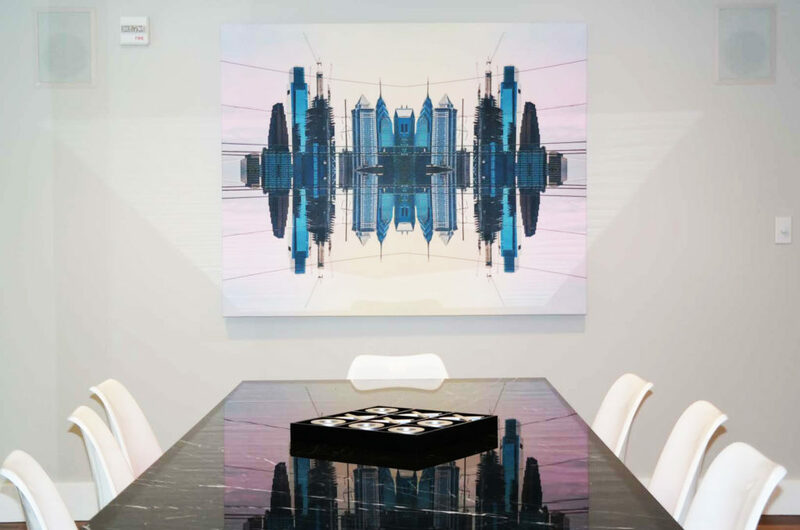 The artworks in the collection include vibrant abstract works, street artwork, and edgier architectural artwork. The pieces thoughtfully explore Philadelphia’s artist community and the city’s contemporary energy. The celebration will continue on April 11 with a private resident happy hour, showing appreciation for those who have already chosen to call The National home. Current residents have quickly settled in to The National and have had great things to say about their new home. “From the first moment I stepped into The National, I knew I was home. 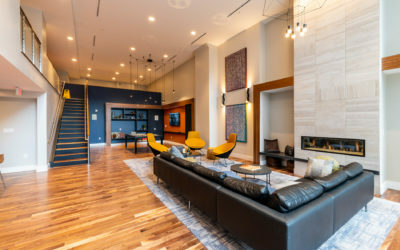 It’s a beautiful building with all the amenities you need, plus some, and the apartments themselves are well laid out and feel very spacious,” said resident Michelle King, who had been looking for an apartment in Old City for months before finding the right fit at The National. The official Grand Opening celebration and Ribbon Cutting ceremony will be held on Thursday, April 18th at 3:00 PM. The ceremony will include special remarks from Mayor James Kenney, Councilman Mark Squilla, and Old City District Executive Director Job Itzkovitz. Following the ribbon cutting, guests are invited to a reception inside The National’s impressive amenity spaces featuring tours of the community, food and drink provided by local establishments, a photo booth and DJ. On the site previously occupied by the iconic National Products building, The National thoughtfully draws from its mid-century roots while offering contemporary amenities and luxurious interiors. Studios, one- and two-bedroom apartment homes at The National come standard with exceptional finishes, featuring gourmet kitchens with quartz countertops, Latch keyless entry, GE stainless steel appliances, oversized full-length windows, in-unit washer and dryer, and lavish bathrooms. An attached garage with parking for up to 60 cars is also available for resident use. 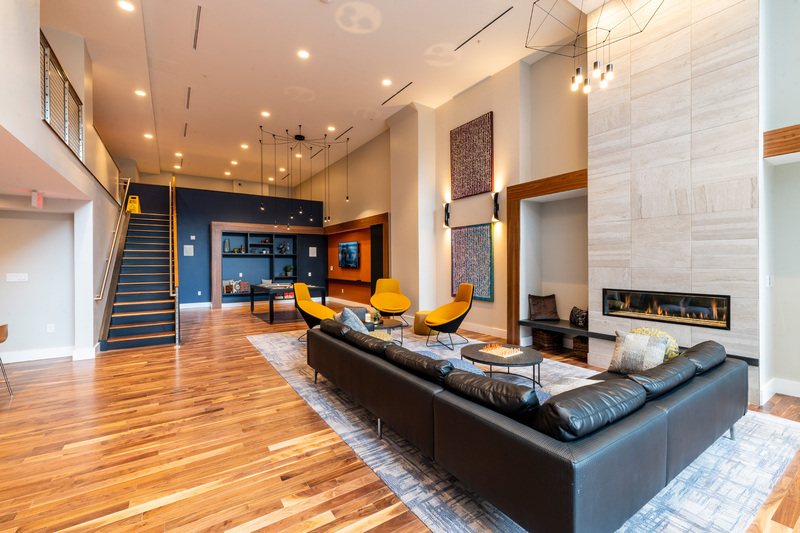 Amenities at The National are designed to impress at every corner, including a two-story clubhouse with a demonstration kitchen, convenient pet washing station, and a full-service fitness center managed by Level 1 Fitness. Residents can also take in the dramatic views of both Center City and the Delaware River from The National’s rooftop deck, complete with an outdoor kitchen and fireplace. With The National’s premier location, residents will enjoy the dynamic neighborhood that is Old City and take advantage of the property’s proximity to Philadelphia’s public transportation system, major roadways, and Center City employment hubs. Rounding off the month of festivities, Level 1 Fitness will celebrate its Grand Opening at its new home at The National with a First Friday reception on May 3rd. The National is proud to welcome Level 1 Fitness to the building, offering both residents and the public alike the opportunity to achieve their fitness goals through a holistic and comprehensive approach to wellness. The National was developed by The Buccini/Pollin Group, designed by Barton Partners, and built by TN Ward Company. Since the property’s first move-ins last fall, ResideBPG has aimed to provide best-in-class property management services, striving to exceed resident expectations at all times. Click here for photos of The National. Image credit should be given to Moonloop Photography.